After rallying the remaining Imperial forces and seizing a large part of the famed Katana Fleet, Thrawn, last of the Imperial Grand Admirals, begins to turn the tide against the besieged New Republic. Utilizing a mad Jedi clone, a cloning complex, and a cloaking shield, Thrawn retakes system after system from the struggling New Republic. While Han and Chewbacca try to enlist the aid of smugglers in their fight against the Empire, and while Leia struggles to hold the fragmenting New Republic together, Luke sets out with a small team in an attempt to find Thrawn’s hidden cloning complex and destroy it, hoping to shift the balance of power back in favor of the New Republic. The final showdown begins. Will Luke, Han, Chewie, and Leia be able to defeat the Imperials and restore peace? Or will Thrawn win and force the galaxy, once again, under the shroud of the Empire? Timothy Zahn creates an amazing novel with all sorts of plot twists and excitement, epic battles and mysteries of the Force. By using Thrawn’s tactically brilliant mind, Zahn creates a new and unique version of warfare. The Last Command is definitely a must-read novel. However, there are some complex sentences and words that would confuse an inexperienced reader. It will also take some time to get used to the fact that The Last Command takes place in a different galaxy with names different from that of our galaxy. 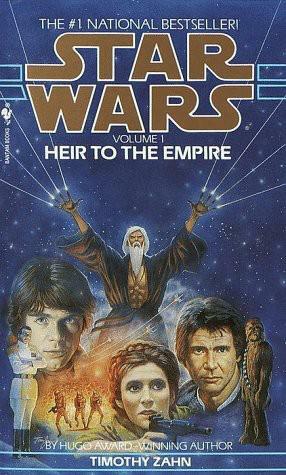 Readers must have already read the first two books in the series, Heir to the Empire and The Dark Force Rising, before they could understand this novel. In spite of these facts, The Last Command is such a good book that, once you pick it up you will never put it down. I would recommend The Last Command to people who have read the other books in the series and enjoy Star Wars.